Gord Settle If I need to walk away from a project I am working on oft times I would not return either seeing something else and working on it or totally losing focus – forgetting what and why I was getting something. The answer came to me as I was lathing the pins…..most everything i use (need) for the project is right there. 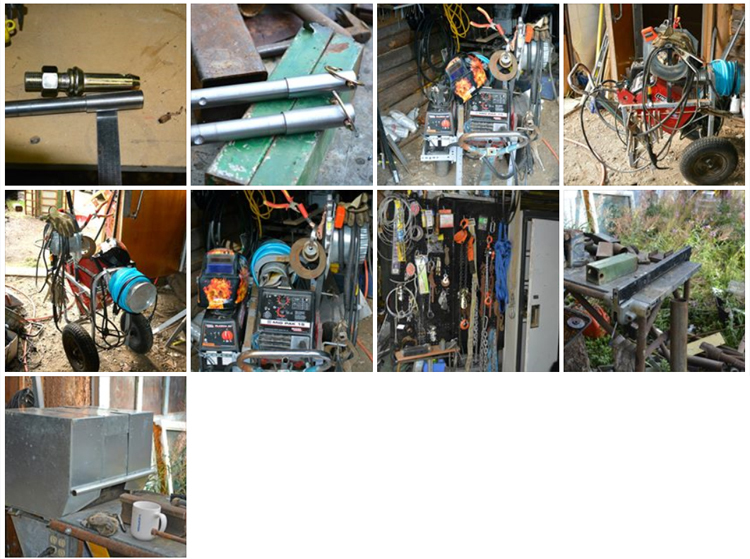 So we had rainy days I and spent some time making my welding cart a tree of items so that I didn’t need to move from the project and loss focus. Overall it seems to be a positive move with fewer evaporation of project thoughts (I think)….less frustration.